At my hotel in Dorfgastein I had a fun bedside lamp. 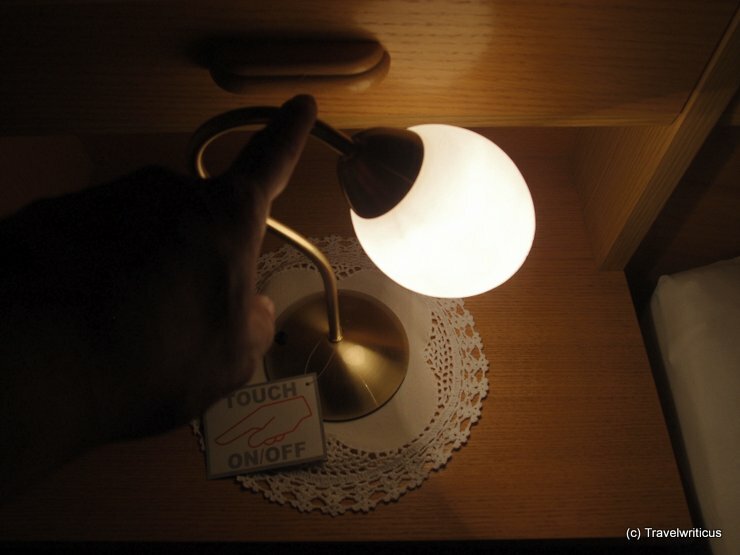 One can turn on and off the light just by touching anywhere at the metal. Any ideas how this works?